I am SO proud of this young woman, and of everyone who created, led and participated in Friday night’s service! Our temple youth group created and led Rock Shabbat last Friday. It wasn’t until recently that I realized just how much doubt plagues me, as a human in general but most specifically as a Jew. 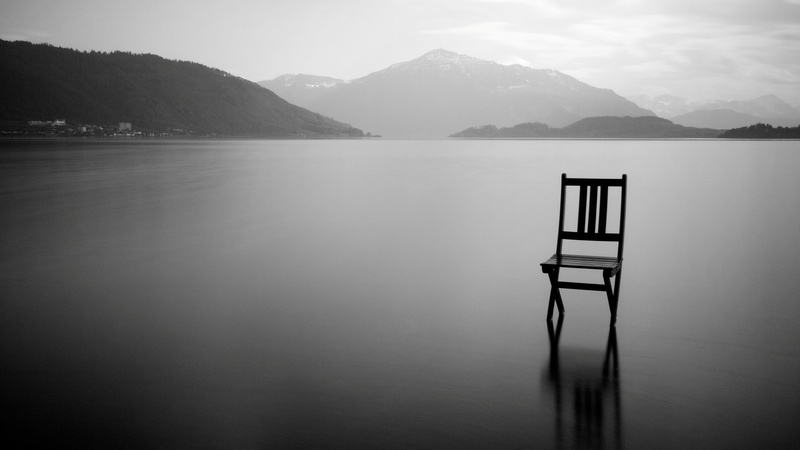 It took me spending quite a bit of time listening to silence and confronting the ideas I am told to be true in order to fully grasp the magnitude of my misgivings. It took me spending quite a bit of time with myself to entirely experience the relentlessness of these questions tossing and turning around in my head. When it comes to what I believe, about God, about this faith, I honestly don’t know for sure. I know what tradition tells me to believe, I know what I’d like to believe, but doubt keeps me from answering the real question at hand. Despite constantly speculating about the strength of my faith, the legitimacy of the Torah, the necessity of religion in general and everything else that could get entangled in that messy web of wondering, and despite being told that all of this is deemed acceptable and is even encouraged in Reform Judaism, I still sometimes feel this need to feign firmness in faith. But why? Is it because I think that having doubts calls into question my validity as a Jew? Is it because I don’t want to dwell on my doubts for too long for fear of the even wilder realms they might lead me to? Is it because I’m worried that if I doubt God, God might not believe in me? I’m not sure what I’m scared of. There shouldn’t be anything to be scared of. For the people in the Torah, though, it was a different story. The idea of questioning, doubting, rebelling against God runs like a thread throughout our holy book. In the case of this week’s parsha, having reservations isn’t something that is deemed acceptable or encouraged. It isn’t framed as something that strengthens faith or brings about a heightened understanding of God. The Israelites’, whose lives are ruled by a God they cannot speak to, a God they must obey without question, cannot voice a complaint or doubt without being severely punished. “Just as the Eternal had commanded Moses, so the Israelites did.” But nowadays, we don’t hesitate to complain, to want more. This Torah portion tells us that people who wanted something else to eat besides manna, who spoke against Moses and therefore spoke against God, were destined to face God’s wrath. In the case of this parsha, God kills those who complain. While reading this portion, I was struck with the same thought over and over again. I couldn’t help but think that, out of all the characters in this story, God is my least favorite one. I couldn’t help but think that the God I was reading about is not the same God I pray to, not the same God I’d like to believe exists. Why did the Torah’s God have to act so irascibly, so irrationally? 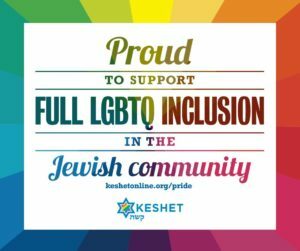 I was completely unsettled by this stream of consciousness me for the same reason that I was completely unsettled by a certain Conservative Bar Mitzvah service I attended about a year ago—it had me thoroughly convinced that the religion being practiced in that sanctuary could not have been Judaism. In both cases, feeling so disconnected to something that’s such an integral part of me has begged this question that I now find myself struggling to answer—am I capital “J” Jewish or just a lover of the innovation, the wiggle room, the individuality that Reform Judaism allows? When it comes to Judaism, what is it I love more—is it the religion itself… or is it all of the freedom that comes along with it? I mean, look at me! I’m a youth and a woman and I am sermonizing on the bimah and the Rabbi is watching me as I openly express my doubts and the sanctuary isn’t combusting spontaneously as I speak and I’m not being booed nor harassed and I’m not being forced to leave the premises and I’m not going to be excommunicated from the congregation following the conclusion of the service (or at least I hope not, I guess I’ll find out later). You’re all listening to me and this is okay and maybe that’s what I love. I don’t know. That’s what I’m struggling to figure out. In any case, what I do know is that I’m trying to take all of this uncertainty and work it into a foundation for a stronger, sounder set of beliefs because one day, I hope to no longer have to feign firmness of faith. I hope to know what I believe and I hope to believe it with everything I have. I know that my Jewish journey will always include doubts, and I know I’m not the only one who has them. I know I’m not alone in this grappling, especially among my peers. My generation is most distrustful of and resentful towards religion. We’re the generation of “I need more evidence” and “let me see the facts”. We’re more inclined to turn away from organized religion just because we believe it has nothing to offer us. We see it as a burden rather than a beacon. Reform Judaism has been trying to navigate this youth disengagement for years by taking liberties, by taking risks. As you may have noticed from the first half of this service, we make Judaism our own by singing mashups and doing hand movements and exploring freely in order to get whatever we can out of this religion. Is what we do still considered Judaism? Some would say no. But this is how we make Judaism relevant to us. This is how I’ve found my most meaningful connections to this faith. We can exploit our doubts and turn them into raw, newfound passion, and while we still may have our reservations, we know they will only bring us closer to the spirit of this universe, they will only expand our minds, they will only strengthen our beliefs once we figure out exactly what those are. So when it gets real quiet and the doubts come to tap us on the shoulder, we’ll welcome them, maybe even befriend them, maybe even invite them to stay awhile. And when the time comes for them to go, there will be nothing left to do but to see them out, and thank them for stopping by.